My plan is to make the new website a landing place for customers interested in Acumatica reports. The main focus of the site will be to explain my service offering and consulting methodology. However, I also plan to incorporate a blog where I will continue the tradition of posting on Thursdays. The posts will focus on tips and tricks for creating awesome reports in Acumatica. 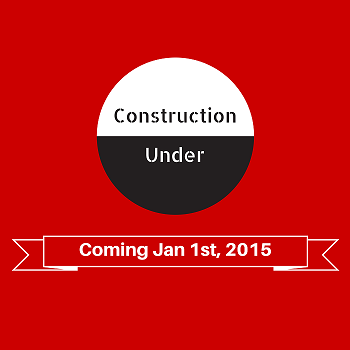 The new website and blog will go live on January 1st, 2015. What about the Perpetual Acumatica Learner Blog? This past week I struggled with what to do about the current Perpetual Acumatica Learner blog. I would love to continue writing posts and exploring the vast world of Acumatica. There are an endless number of things to learn, especially when you consider all the possible real world applications for various Acumatica modules and features. Unfortunately, while the possibilities are endless, my time is not. Learning Acumatica in addition to my day job has proved to be a tiring experience. Now that I am investing time in a business and a new blog, I won’t be able to continue things here. I will continue to post here on Thursdays until the end of the year, with my last post scheduled for December 25th, Christmas Day. Was Perpetual Acumatica Learner worth it? Absolutely! I not only learned a lot about Acumatica, but about blogging as well. When I first posted in April 2013 (click here), I wasn’t sure if my first crack at blogging would go anywhere. Honestly, I’m still not sure that it did, but at least I was able to type a bunch of (hopefully intelligible) words into the computer on a (at least somewhat) consistent basis. If this blog aids any first-time Acumatica users in their journey to learn Acumatica, then I did my job and all the time invested was well worth it. I plan to renew the PerpetualAcumaticaLearner.com domain for at least another year so this website won’t be going away any time soon, it just won’t have any new content added after December 25th 2014.